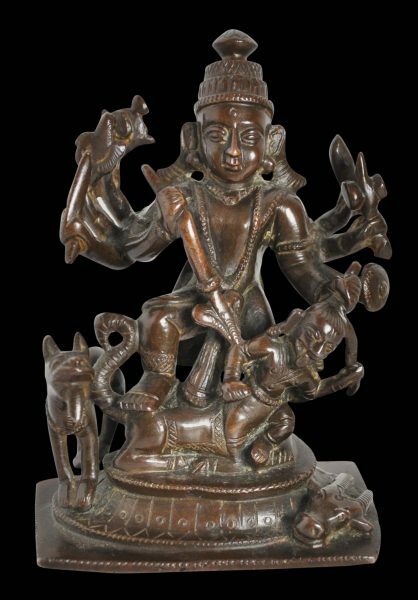 This dynamic rendering of an eight-armed Durga shows the goddess slaying the buffalo-demon Mahishasura. The moment of decapitation is captured in this bronze. 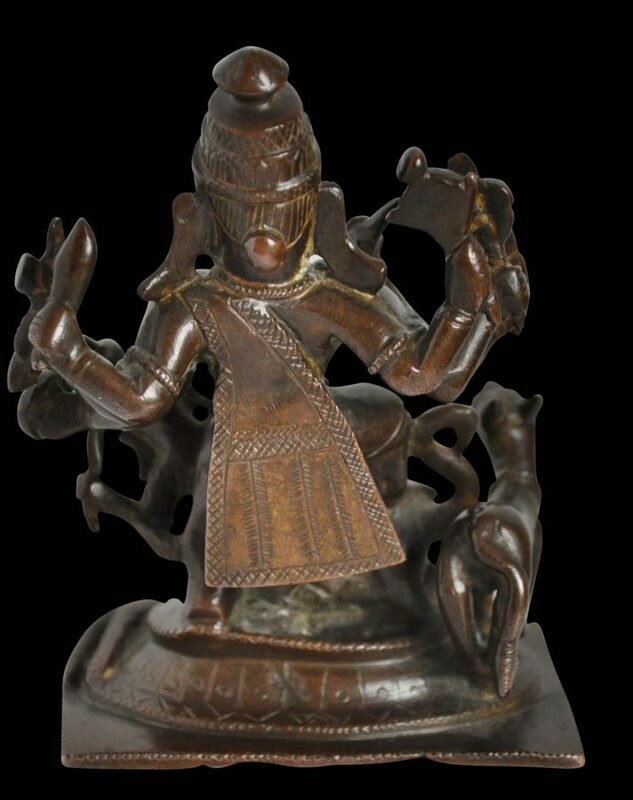 Durga’s right foot is on the buffalo demon’s back. 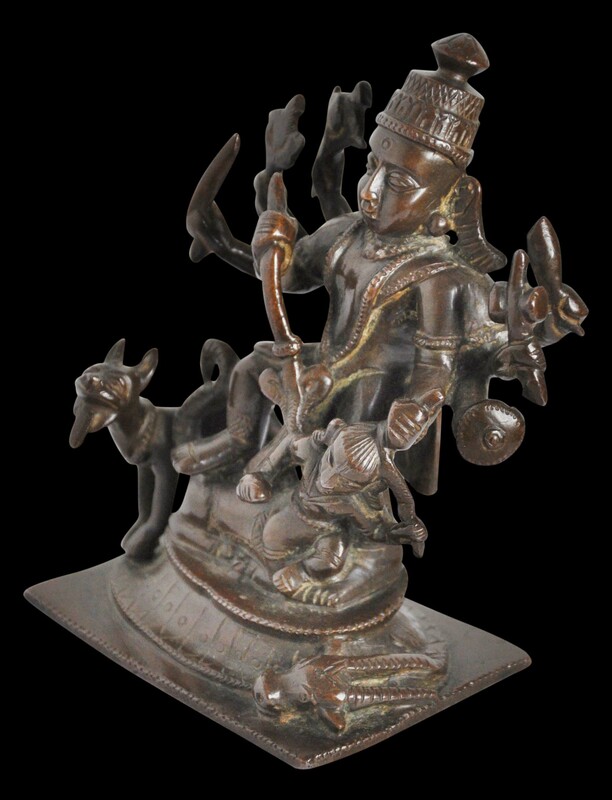 A sword is in one arm and another pulls the demons by its hair from the severed neck of the buffalo. She holds attributes in her other hands. They include a sword, a bow, a noose and a conch shell. Durga’s cloak flies out from behind her to underscore the action. The well-cast head of the buffalo rests to Durga’s left. Durga’s lion mount stands on her right with its tongue hanging out no doubt hopeful of a feast of entrails. The group stands on and about an oval platform engraved with lotus petals around its side. The bronze has a rich, chocolate patina. It is cast in one piece in a particularly dynamic and three-dimensional way.